A partial list of participating eateries includes Aquitaine bar á Vin Bistrot, Area Four, Banyan Bar + Refuge, Bar Mezzana, Barcelona South End, Blackbird Doughnuts, Boston Chops, Cinquecento Roman Trattoria, Five Horses South, Flour Bakery + Cafe, Formaggio Kitchen South End, Frenchie, Gaslight Brasserie, Haley House Bakery Cafe, Lion’s Tail, Masa, Metropolis Café, Meyers + Chang, MIDA, Petit Robert, The Elephant Walk South End, Stephi’s on Tremont, PICO, The Gallows and Mistral. Taste of the South End features a silent auction, mystery bag and our wine toss game, where guests can find a huge array of fabulous prizes including trips, food and wine experiences, and tickets to upcoming shows and events. This year’s presenting sponsor is Amazon. Other sponsors include Harvard Pilgrim Health Care, Macy’s, Pfizer, Bombay Sapphire, Eaton Vance Investment Managers, Gilead, InterSystems, Venegas and Company, Whole Foods Market, Martignetti Companies, Samuel Adams Boston Lager, Ultimate Valet, Boston Spirit Magazine, EDGE Media Network, Yelp, and Frost Productions. AIDS Action Committee of Massachusetts is the state’s leading provider of prevention and wellness services for people living with and at risk of HIV/AIDS. AIDS Action works to stop the epidemic by eliminating new infections; maximizing healthier outcomes of those infected and at risk; and tackling the root causes of HIV/AIDS. 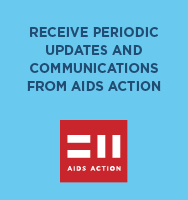 Founded in 1983, AIDS Action is New England’s oldest and largest AIDS service organization, advocating for the needs of people living with HIV/AIDS by educating the public and health professionals about HIV prevention and care; and promoting fair and effective HIV/AIDS policy at the city, state, and federal levels. In 2013, AIDS Action joined the Fenway Health family of services and programs.